Precarious employment is a slippery slope that can lead to homelessness. In today’s shifting economic climate, affordable housing is becoming increasingly out of reach for many individuals and young families. An Assistant Professor in the Faculty of Health Sciences (FSH), Toba Bryant, PhD, is passionate about tackling issues with the greatest community impact, including housing and employment. Her collaborative research with colleagues in the Faculty of Social Science and Humanities (FSSH) explores Pathways Into and Out of Homelessness in Durham Region. The aim is to examine the causes of homelessness, and find ways to improve housing policies, while drawing parallels between affected communities across the country. She is also collaborating with FHS and FHSS colleagues, Unifor Retirees’ Local 222 (Oshawa) and United Way Durham Region on a major community quality-of-life study in Oshawa, Ontario, following the automotive hub’s recent downturn. Her research examines the impact of precarious employment including a lack of job security and benefits on quality of life within the community. She intends to drive government and employer policy and program development to improve job stability and address community concerns for impacted families. A social scientist, Dr. Bryant encourages students to examine the role of social determinants in health outcomes and health policy. 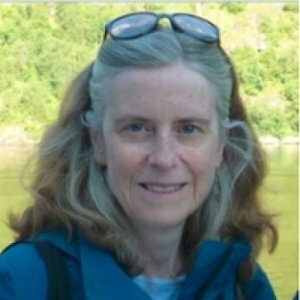 Author of Health Policy in Canada, and co-editor of Staying Alive: Critical Perspectives on Health, Illness, and Health Care, she has published book chapters and articles on policy change, housing and health, and women’s health; and serves as General Editor of Women’s Health and Urban Life. Growing up in a political family piqued her interest in public policy; and inspired her focus at university. At the University of Toronto (U of T), Dr. Bryant earned her Bachelor of Arts (Honours) in Political Science and her Master of Social Work. Early in her career she worked on urban health research and policy projects in the voluntary sector, before pursuing her Doctorate in Social Work at U of T.
Before joining UOIT in 2012, Dr. Bryant was an Assistant Professor of Health Studies in the Department of Social Sciences at U of T, and an Assistant Professor in the Department of Sociology at York University in Toronto. She held post-doctoral fellowships with the Centre for Research on Inner City Health at St. Michael’s Hospital in Toronto, and the Institute for Health Studies at York University. This critical, feminist, and social science, peer-reviewed journal addresses a wide range of topics that directly or indirectly affect both the physical and mental health of girls, teenage and adult women living in urban or urbanizing pockets of the world. Dr. Bryant was awarded a two-year post-doctoral fellowship to address the needs of a diverse, multi-ethnic, marginalized and disadvantaged population across the lifespan, from newborn to the elderly. Formerly known as the Institute for Health Studies, this centre strives to mobilize community engaged and policy relevant health equity research across disciplines and around the world. Dr. Bryant's two-year post-doctoral fellowship focused on critical health research and social justice issues. Housing is something that many of us in Oshawa take for granted. The idea that we can come home to a warm house with a fridge full of food is something that a lot of people see as everyday life. However, for many, it is not. And based on escalating rental prices in Oshawa, more and more people could be seeing this as their new reality. How do job prospects affect quality of life in Oshawa? Recent news that General Motors will scrap 1,000 jobs at its Oshawa plant by December is yet another blow to the local employment landscape. There are plenty of statistics about how the latest round of layoffs might impact job numbers. Researchers from two faculties at the University of Ontario Institute of Technology (UOIT) are collaborating on a project examining the correlation between job prospects and quality of life in Oshawa, Ontario. Dr. Toba Bryant, Assistant Professor, Faculty of Health Sciences (FHS) is Principal Investigator on the Community Quality of Life in Oshawa project, which will examine employment, health and quality-of-life issues faced by local residents. Dr. Scott Aquanno, Lecturer, Faculty of Social Science and Humanities (FSSH), is also involved in the project. Good jobs, precarious jobs and how quality of work determines quality of life were addressed at an Oshawa Good Jobs Forum held at the Regent Theatre April 1. Dr. Toba Bryant, Assistant Professor, Faculty of Health Sciences, University of Ontario Institute of Technology (UOIT), recently published an opinion piece for the Toronto Star on the connection between income level and health. The crash of an airliner is a tragic disaster that triggers major investigations and quick action to make sure the same problem doesn’t occur again. As a result, these events are, thankfully, extremely rare. Imagine the response, from industry, government and the public, if a plane crashed every day. Reducing Food Insecurity in the Liberal Welfare State: What Can Be Done in the Absence of State Action? How Can Theories of Public Policy Inform Our Health Promotion Activities? Dr. Bryant is the principal investigator on a major quality of life study in Oshawa, Ontario. Her research examines the impact of precarious employment including a lack of job security and benefits on quality of life within the community. As a co-investigator, Dr. Bryant's research examines the causes of homelessness, and explores ways to improve housing policies, while examining similarities between other affected communities. Dr. Bryant is a co-investigator of this study to examine the quality of life and determine the needs of a diverse and underserved community in Central Etobicoke; then compare findings to those in Oshawa. A critical assessment of how public policy affects the health of immigrants, this interdisciplinary volume is an integral contribution to the study of immigration in modern developed nations. Authors employ a welfare state analysis to examine the political and economic systems that shape public policy, turning to several Canadian and international case studies that demonstrate how these policies specifically impact immigrant experiences and health outcomes. Exploring ideals of multiculturalism, solidarity, and equity, Dennis Raphael's edited collection is an excellent resource for students interested in comparative health care systems, health economics, and global immigrant experiences. This chapter reflects on the insights UK research and policy experiences have offered those working to address health inequalities in Canada and the USA. Written by leading Canadian experts on the social determinants of health, it argues that the UK has provided researchers and policymakers with numerous insights into how to conceptualize, research, and act to reduce health inequalities, whilst also summarizing some of the key contributions that Canadian and American researchers have made to health inequalities debates. The authors argue that, whilst policy developments in the USA have been extremely limited when it comes to health inequalities, there are reasons to be more optimistic about the possibilities for addressing health inequalities and the social determinants of health in Canada. In the current environment of deepening class and income inequality, it is essential to understand the socio-economic conditions that shape the health of individuals and communities. Now in its third edition, Dennis Raphael’s Social Determinants of Health offers a comprehensive discussion of the primary factors that influence the health of Canada’s population. Drawing on groundbreaking research and partnerships, with contributions from senior public servants, this book explores the competing demands of different actors involved in policy change. It challenges current debates, assumptions and reflects a unique diversity of experiences. Combined with differing theoretical perspectives, it provides a uniquely practical insight for those seeking to influence public policy. There are differing interpretations among health researchers about how income inequality leads to health inequalities, but there is consensus that income inequality is cause for concern. Alarms have also been sounded by public policy researchers and institutes, which see income inequality as having a corrosive effect on society by hindering economic growth, dampening political participation, and eroding quality of life. This article examines how various public policy models explain and promote policy change to reduce income inequality. The focus of this article is on income inequality, but its raison d’être is the assumption that income inequality is an important driver of the health inequalities that both diminish and prematurely end life. The insights provided by Gøsta Esping-Andersen’s Three Worlds of Welfare Capitalism on the origins and characteristics of social democratic, conservative and liberal welfare states make explicit many of the political and economic structures and processes that can impact on health and create health inequalities. Broad stroke analysis of welfare state differences indicates social democratic welfare states may fare better at promoting health and limiting health inequalities in specific instances. This article builds on Esping-Andersen’s insights to theorize how differences in sectoral power across and within forms of welfare states can shape the resources and supports available to those occupying various social locations during important periods of the life-course. It also specifies the specific health outcomes of special relevance to those situated in vulnerable social locations across the life-course. Research has identified a wide range of factors that influence the health of children and their health as adults. Key among these are early childhood conditions, care, and education, housing security and income security. A number of indicators have been developed to measure the health of children such as the incidences of infant mortality and low birth weight. In international comparisons with other rich countries, Canada ranks poorly. These health outcomes are not inevitable but are shaped by the quality and distribution of a wide range of social determinants. Public policies shape access to and quality of the social determinants of children’s health (SDCH). Because the SDCH are amenable to public policy, it is important to understand public policy and the public policy development process in order to promote policy change. Yet few health practitioners who work with children consider or understand how the public policy development process works. This article examines three models of public policy development: pluralism, policy paradigms, and political economy. A political economy approach to children’s health considers how the economic and political systems of a jurisdiction influence the public policies that shape children’s health. It moves beyond the concrete and observable to look at the societal structures and processes that distribute the material and social resources to families and children that can either support or threaten children’s health. This special issue presents a number of articles from Canada, Norway, the United Kingdom, and the United States that show how profoundly important these issues are to understanding and acting to improve children’s health. As such, these articles provide a useful counterpoint to prevailing notions of children’s health, which all too often are focused solely on the creation and delivery of services and attempts to change health-related behaviours. While these other issues are important, it is essential to identify and act to modify the too-frequently neglected structures and processes of society that create the public policies that shape the essential social determinants of children’s health. Scholars and governments recognise the importance of policy development and implementation for population health, but there is a lack of systematic theoretical and conceptual development in the health field to address the issue. Health Promotion and Policy is the first book to take an in-depth look at the theoretical advances in the political sciences including discussing the significance of political economy and sociology, which have so far made little in-roads into health promotion development. The book argues that focusing on how public policies work makes it possible to move beyond the more behavioural ‘health education’ and to move from political statements to political strategies.